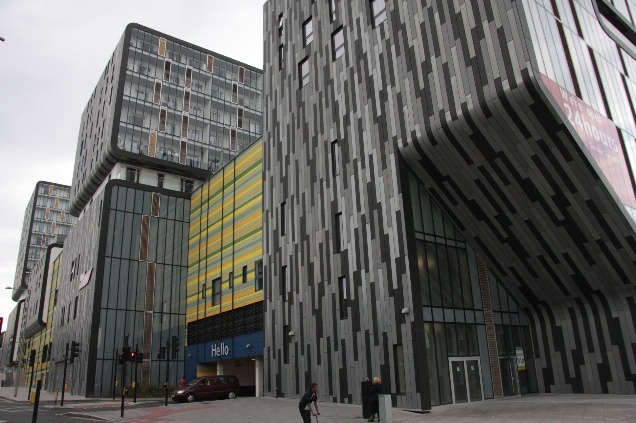 Tesco’s much derided Woolwich Central development has been awarded the title of Carbuncle of the Year. The unfortunate lump beat off some stiff competition to claim the trophy from architectural magazine Building Design. It is the second time in three years that a building in Greenwich borough has won – the previous being the iffy Cutty Sark refurbishment and glass bulge it developed at its base. This have given the poor place another avalanche of bad publicity across the national media. To be fair I don’t actually think it should have won. The shortlist had some buildings that appeared even more dire, such as the Bath University building as seen on the left. Stratford’s new student tower does much to damage its regeneration. Trinity Square in Gateshead, another Tesco (current profits of £2.6 billion a year) development, is dire with the cheapest possible materials. The housing blocks above the shops are a real lowlight of anything thats gone up nationwide in many years, and worse than the blocks above the retail part of Woolwich. It’s an incohesive, disjointed blotch on the area going by the photos. However, I’m only going by photographs (though they’re damning of the other schemes). Photographs aren’t always the best indicator , particularly of scale and context. 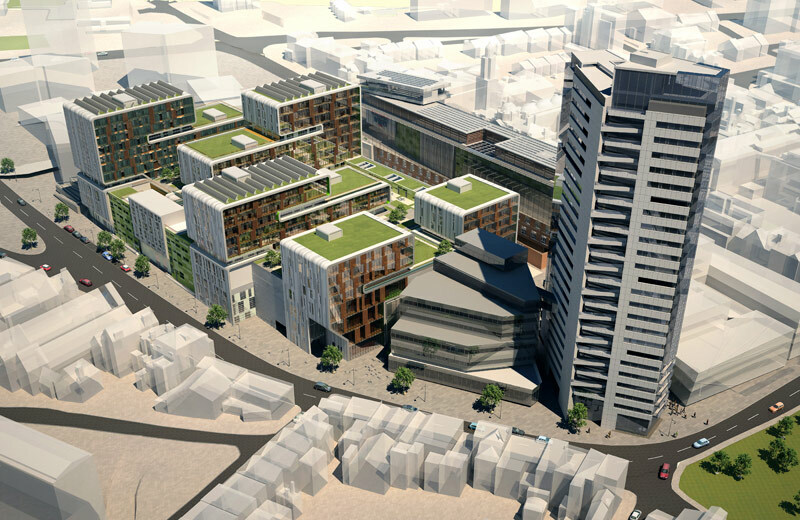 And that is one major failing of the Tesco development, labelled “oppressive, defensive, arrogant and inept” by judges. It’s ok from the front, but the side is a horror show of cheap trespa cladding (the stuff that looks like plastic). 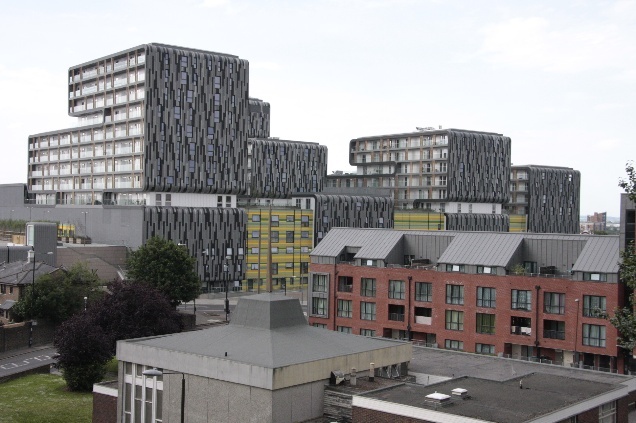 Not content with such cheap cladding, the architects (or perhaps cost-cutters tasked with aiding the project) then choose to clad much of the side in a dreary shade of grey. Windows are barely visible. Perhaps this utter mess on the side is an attempt to hide a paucity of windows, and natural light for the inhabitants. Pretty much everything on the side of the building is abysmal. The relationship with the street is woeful. Tesco had promised in 2007 this would have an active frontage. Shops were included in earlier plans but dropped. Replaced with, well, nothing. The street frontage is dead. The doors leading to the housing units look like they’d be more at home on a cell at Belmarsh than on a major town centre scheme intended to regenerate a town in desperate need. Directly over the road is Pugin’s St Peter’s Church which deserves better than to face this. According to a great post from former Greenwich Councilor Alex Grant, chair of the Planning Board when the building was given permission, many alterations were made post-planning approval. But even the original proposals would’ve stunk out the place. Where were the Greenwich council officials before it got to that stage? The process of discussion with developers at preliminary stages need big improvements. But even that is a lucky break. The square was originally to have a tower. One that looked atrocious. 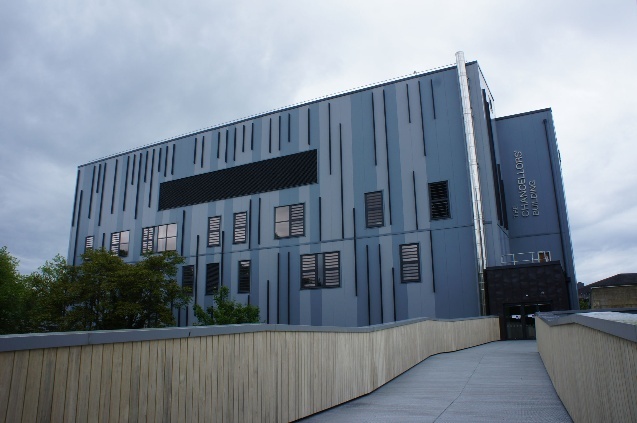 It appeared to feature grey, plastic like cladding with narrow horizontal bands of windows. It was far from elegant or graceful. Also, notice how the dreary shades on the side of what was built appeared a light shade in this rendering – similar to the tower. If the tower went ahead at the same time it may well have had a similar colour scheme. To my mind, if it had gone up then the development would have risen above other contenders like the terrible Bath Uni building and won hands down. They could have given the award to it for the next 5 years too as not much would risk displacing it. Build it high and build it quick. Sod the design quality. Do it fast and hope for the best. Sums up the council in recent decades when it comes to architecture, public realm and street design. Even good schemes like General Gordon Square facing Tesco wasn’t funded or designed by Greenwich council. Some Councillors seem to shrug off local criticism of developments and the widespread terrible public realm seen in most of the borough. The fact the borough is regularly getting a pasting in national media should wake them up to the fact the issues are real. When local people and visitors say how poor some new developments are, along with terrible public realm (new and existing), it’s coming from people who visit other parts of the country and see just how unfavourably much of Greenwich borough compares, away from Greenwich town centre. Fortunately Tesco didn’t proceed with either tower proposal but the possibility remains. It’s prime land and they may not leave it as a nice green area for too long. The curious thing about the image above is that the entrance to the store looks to be hidden. Wedged behind that turd of a tower. But what’s next to it – a translucent box where an attractive parade of buildings now stands. The buildings are in great condition, unlike many other wonderful buildings in Woolwich. But don’t think that makes them safe. They could go, and an entrance to the superstore created where they stand. How long will these survive? That is a wonderful parade of buildings. Beautiful ground floor frontages too and an insight of Woolwich as it was. But this is Greenwich Council after all. They have permitted demolition of things like this many times before. They just don’t seem to value the many assets Woolwich has. They were happy to see the art deco co-op demolished before the credit crunch reprieved it. That building was ‘beyond saving’ and structurally unsound apparently. Now it’s being refurbished to become flats. 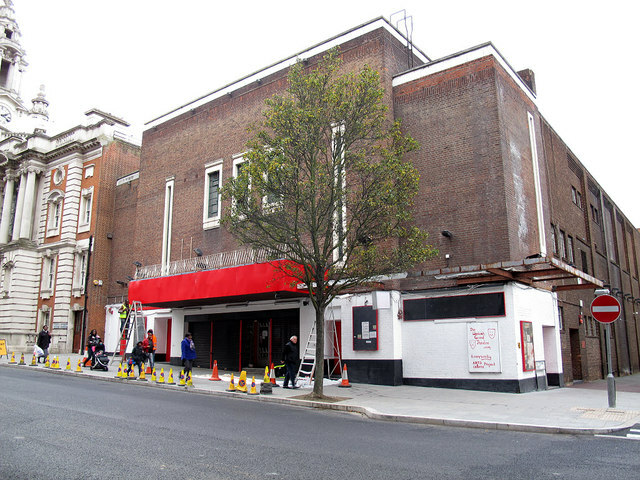 The latest is the former cinema next to the town hall, recently the Woolwich Grand, for which demolition was recently approved. An austere building, it would look great with some art deco signage to remind of its former use, as the current users intended. So Woolwich now has a new blot on its landscape. Yet there appears to be no improvement to the town centre. Marks & Spencer have recently announced they are leaving after many decades and departing their handsome and under-appreciated building in the town centre. What will happen to that now, and all its original features and detailing? Greenwich clearly find the departure of M&S from Woolwich embarrassing, and are pushing the laughable line that Woolwich may get an M&S food store at some future point in time, to make up for it, which just smacks of desperation. So might every other town in London at some indeterminate point in time. It means nothing now. M&S were one of the last quality retailers to remain (albeit in a outlet store) and are also opening in a retail warehouse in Charlton, which is a factor in this. They are moving to an out-of-town retail park in an inner city location, and away from the major town centre in the borough. Another planning failure by the council is encouraging that part of Charlton to remain as a suburban retail landscape of giant retail sheds and swaths of tarmac, and indeed expand. An incredible waste of land when London has the fastest population growth in a hundred years alongside the lowest number of homes built for decades. Greenwich is projected to have the fastest population growth in London too. A fundamental reappraisal of that part of Charlton is needed long term, with greater housing levels to meet the desperate need. This should be done with mixed-use developments and attempts to create something akin to a high street by the large retail units, which retailers will not simply abandon given it is an efficient use of space. This will not be at all easy, and will take many years, but is needed. Woolwich has declined to such an extent that preventing M&S leaving is tough, but it wouldn’t be so bad if they were at least moving to a development that provided more than just large car parks and single storey units. But even if any Charlton development was mixed use, the council may just permit another blight on the landscape for future award nominations. At this rate, Greenwich are winning the award so much they might be given a life time achievement soon. I was going to include that but the post was getting rather long. I will include it in a future post. 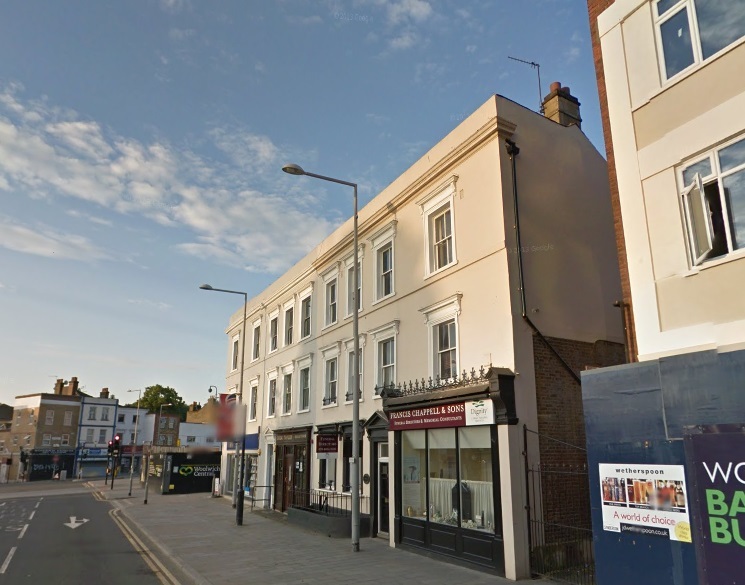 If I understand correctly, the Council successfully applied to Boris for a grant to refurbish shopfronts in Eltham High Street, so that they will be more harmonious with the original architecture of the buildings. This is something that is sorely needed in Powis Street – to reinstate the grace and uniformity of H H Church’s buildings – and Plumstead High Street which hosts some very interesting buildings which could be returned to their former glory. That would be real regeneration and would help local people to take a pride in their built environment. I agree and there are various funds to do such things. Quite a few high streets have had it done across London. To be fair Plumstead did have something similar about 10 years ago on some buildings. The radical club opposite the station was one such. Not maintained though. There has been some progress in Woolwich though – Travelodge refurbished the Victorian co op but the ground floor still looks way out of place with the floors above. There’s many more that could do with the treatment – some shops and also places like the old library and town hall. If an area is designated a conservation zone the local council has more powers over signage etc. This should be looked at in certain places. Deptford High Street is one though, and Lewisham council don’t enforce the rules so crappy signage goes up all over. Does anyone know when M&S in Woolwich will close? It is a blow for the town centre to lose an anchor store like M&S. I still think that store could have done better if they’d actually bothered to invest in it. Every time I walk past the Thomas St doors are broken. If they opened up the other entrances then that would have made it more accessible to customers. I wonder what will replace it? Will Next make a return to Woolwich? Eyesore or not, the re-vamped General Gordon Square is a great leap forward compared to the grotty bus roundabout that it was before. I didn’t know they were bulldozing the Grand Theatre. Not sure on M&S. They confirmed the closure last month and Charlton opens soon. It’s days are numbered. M&S didn’t look after it. I was told they didn’t open other doors as too much was being stolen and getting more security was too expensive. Like most others I fear a pound shop that will decimate the buildings features without a peep from the council. Few major retailers want to invest there. The square is great and a vast improvement as you say. Greenwich council had little to do with it though. Money came from the Greater London Authority, it was designed by an outside group with oversight from a GLA design advisory group. The plan to demolish the Gran Theatre was given approval last month despite big campaign against it.